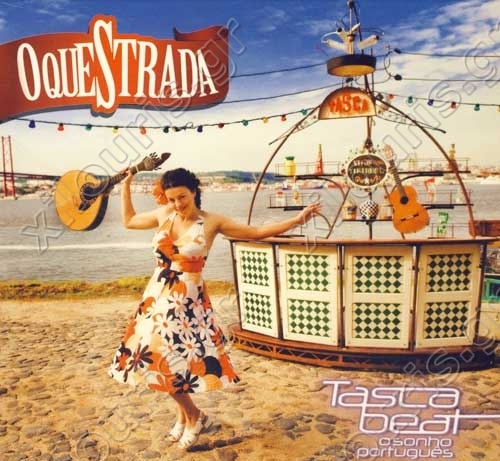 Their debut CD aptly titled Tasca Beat (Tascas are akin to the tapas bars of Madrid, a watering hole where one can get food and chat with friends and family) is one of those CDs that you can play from one end to the other, without skipping a song. It¢s the best way to experience OqueStrada¢s cornucopia of sounds and rhythms, and to truly appreciate their music. It will sound intimately Portuguese, but at the same time you will notice rhythms most associated with Angola and Cape Verde, and you might unearth a ska track, a flamenco song in Spanish, and Miranda singing in Creole and French. Included below are two songs that capture the essence of OqueStrada beautifully. Oxala te Veja and Se Esta Rua Fosse Minha are two passionate songs that will render you incapable of sitting still and will perhaps make you love the wonders of globalization and the clash of cultures.